Adam is a senior toxicologist, with over 40 years of experience, of which nine years were spent in the pharmaceutical industry and 21 years in contract research, including the post of Director of Toxicology/Pathology at Quintiles, Scotland. He has broad experience in pharmaceutical development and the conduct and reporting toxicological reviews for a wide range of substances, including pharmaceuticals, agrochemicals, veterinary products, consumer products and medical devices. This has included presentations to various European authorities, such as the EMEA, MHRA and BfArm and the FDA. Adam is certified as a toxicologist in both Europe (Eurotox Registered Toxicologist) and the USA (DABT), and is a Fellow of the Royal College of Pathologists and a Chartered Biologist. 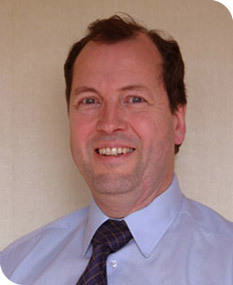 He has been involved in a number of training initiatives and has a published various papers and a textbook "A Guide to Practical Toxicology: evaluation, prediction and risk"; (2nd edition, Taylor & Francis 2008), currently used by the University of Surrey for their postgraduate training course for toxicologists. He is also a Fellow of the British Toxicology Society and Academy of Toxicological Sciences, as well as being a member of The Organisation for Professionals in Regulatory Affairs (TOPRA), the Society of Toxicology, the American College of Toxicology and the Society of Biology. He has been Chair of the Registration Panel to the UK Register of Toxicologists and a Director on the Board of the American Board of Toxicology for whom he is European Liaison Officer. He is Chief examiner in toxicology for the Royal College of Pathologists. 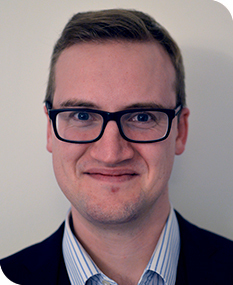 David joined ForthTox in 2008 after completing a PhD in neuropharmacology at the University of Aberdeen. As Director of In Silico Toxicology at ForthTox, David has extensive experience with the use of Derek Nexus, Meteor, Leadscope, ToxTree, Vega and TEST and has prepared reports for submission to regulatory authorities, particularly on the potential mutagenicity and genotoxicity of pharmaceutical impurities, leachates and degradants. He has also prepared non-clinical overviews on behalf of major pharmaceutical companies and prepared numerous toxicological overview reports and biological evaluations for medical devices. David is a European Registered Toxicologist and a Chartered Biologist. He is a member of the British Toxicology Society, the British Pharmacology Society, the Society of Biology, the Society of Toxicology and the American College of Toxicology. He is currently editor of the British Toxicology Society newsletter “bts News” and sits on the communication sub-committee.